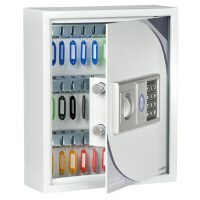 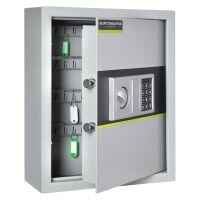 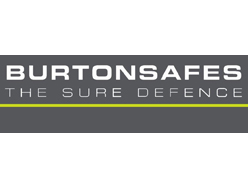 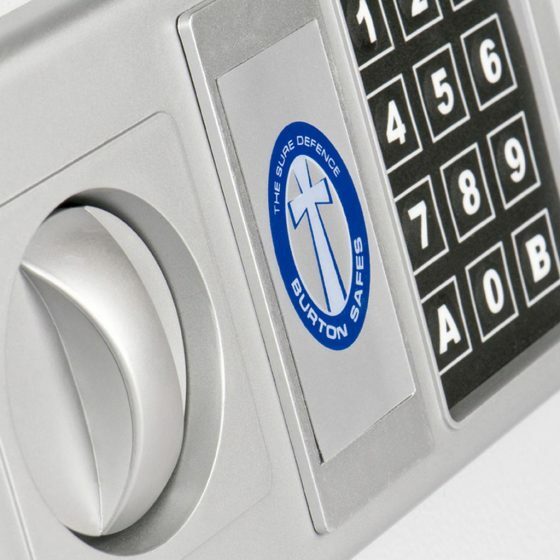 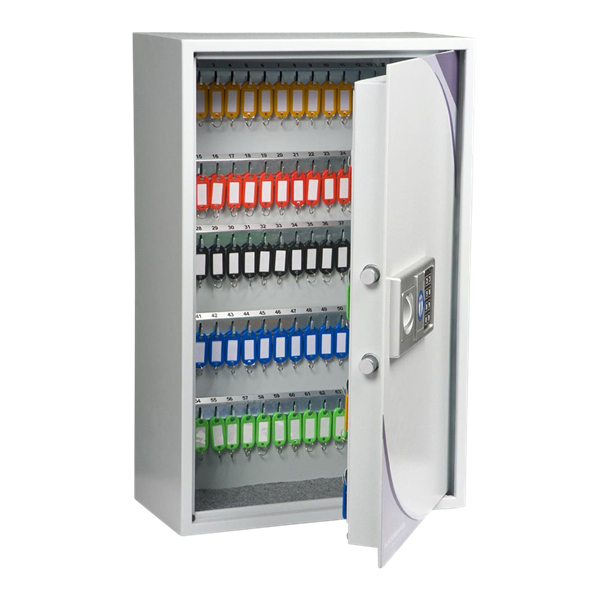 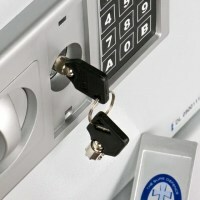 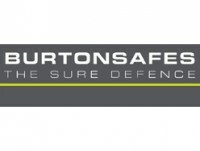 Burtonsafes KS Range of Key Cabinets with Electronic Access Code make for ideal Key cabinet for anyone that needs to store multiple keys and bunches of keys. 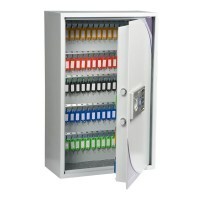 The electronic access control for these Key Cabinets make them very easy to access with the correct code and also quick and simple to change if and when required. 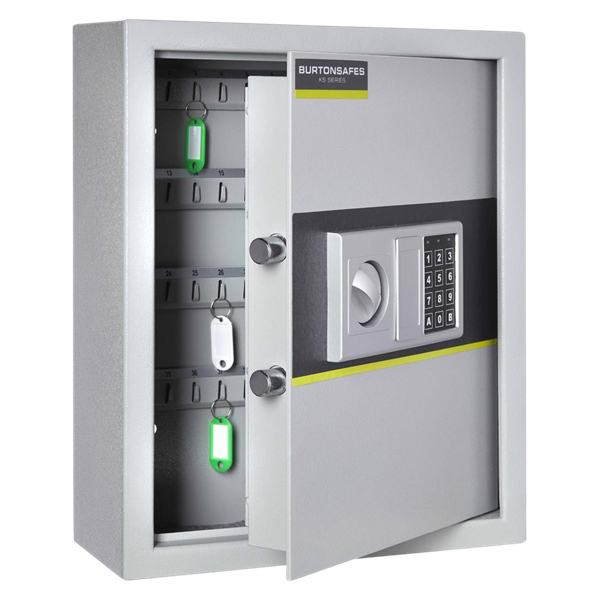 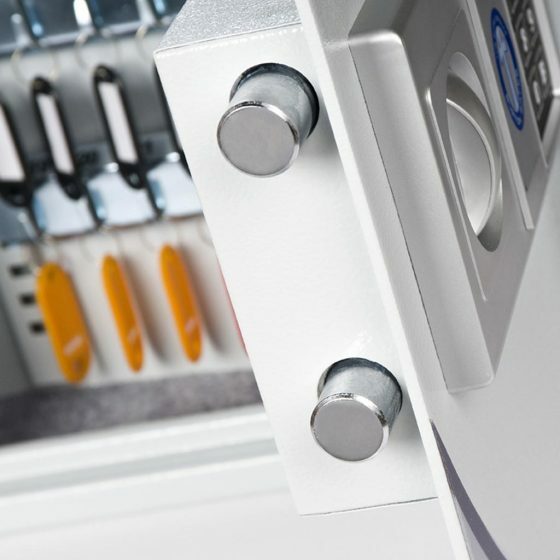 With 4 rear mounting holes these Burtonsafes KS key cabinets can be securely attached to a wall and with 5mm steel door and 2mm steel body offer great security for the storage of keys. 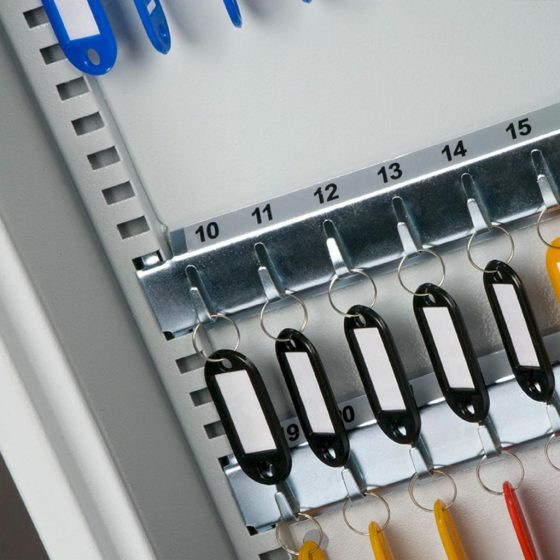 The KS range is available with 27, 71 or 133 keys hooks and each key cabinet is supplied with key tags and numbers, making them ideal for schools, garages, universities, showrooms and large commercial properties.